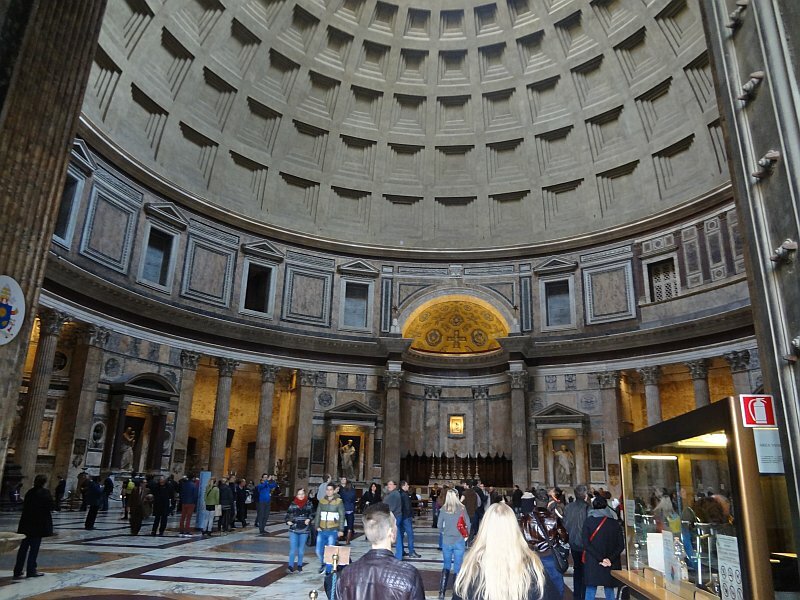 The Pantheon is an impressive structure: large, cylindrical topped with a huge dome. It sits on one side of a good sized piazza with restaurants and shops and lots of people. Inside, the space is equally large, and wide open. As you walk in, there is the main altar straight ahead. The dome of the Pantheon is quite impressive, especially considering how large the building is. There’s also a big hole in the roof, so if it’s raining outside, it’s raining inside too. The High Altar has candle stick holders that are as tall as the person that was lighting the candles when we were there. 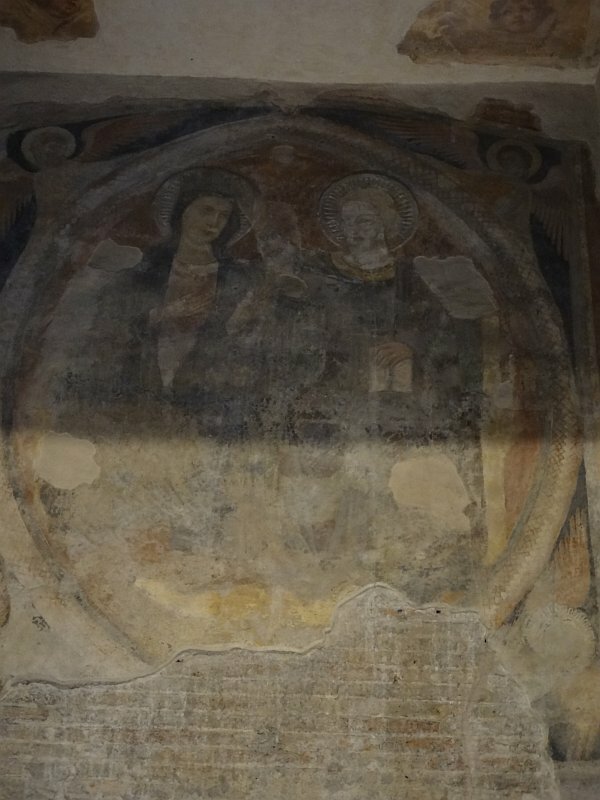 In addition to “newer” mosaics and sculptures, there are much older ones on the walls of the Pantheon, such as this fresco. Pretty remarkable that something like this has managed to survive so long. 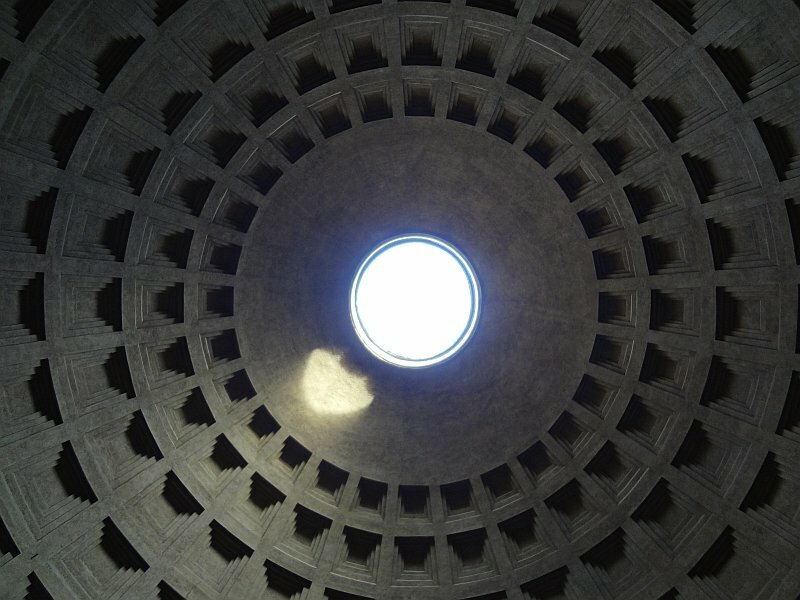 The Pantheon isn’t just a tourist attraction though. It’s still a functioning Catholic church, so about 10-15 minutes before Mass starts, they start shooing out the people who aren’t planning to participate in the Mass. 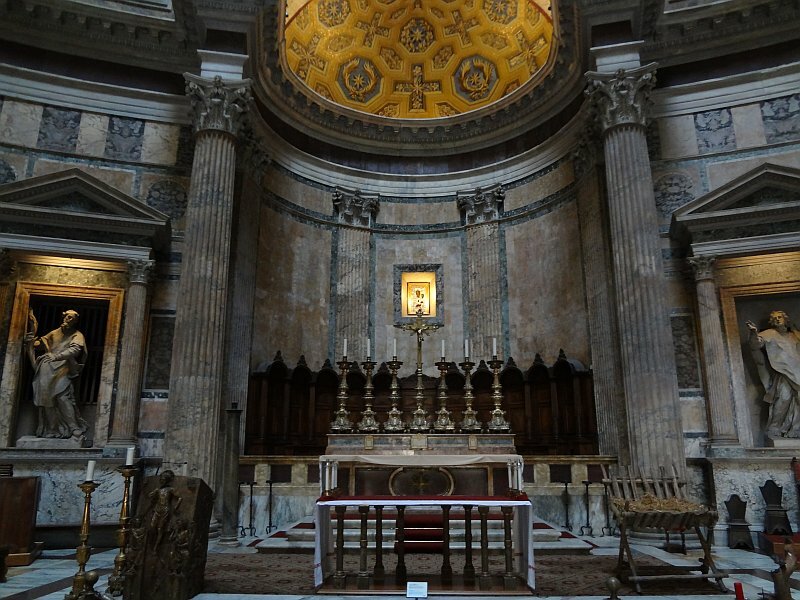 If you’re visiting the Pantheon, stick around for the Mass. Afterwards, you’ll have a little bit of time to wander around while it’s relatively empty before they let the tourists back in. Previous PostPrevious Mah house is under contract!